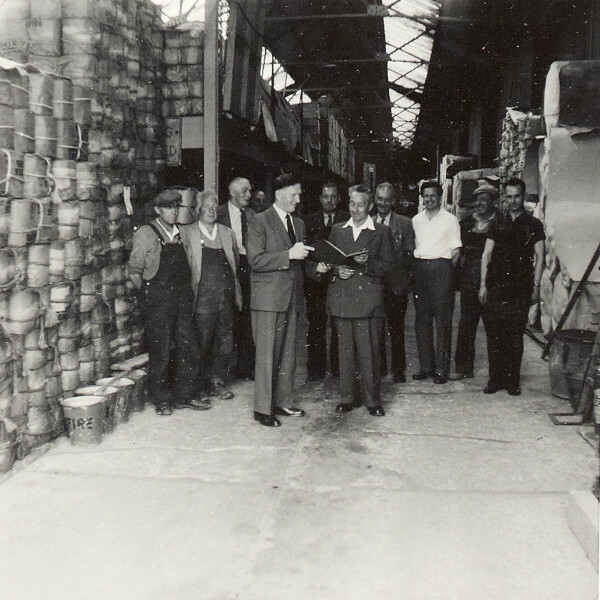 Black and white photograph showing a group of men gathered in a warehouse. There are two men at the front of the group, one of whom is presumably T. Folwell, who are holding a book between them. This photograph is on page 46 of the C N Hadlow photograph album.